Poverty is a common theme in Argentina and because of it many children lack basic necessities in growing up. Some of these may include education, adequate nutrition, companionship, guidance and personal attention. While partnering with numerous schools, non-profit organizations, and other such organizations, volunteers are placed in a mentorship role to assist underprivileged children with support and care. Volunteers support care centers with various tasks such as preparing meals and helping children with their homework. Volunteers may can assist local staff to implement creative development-enhancing activities such as art, dancing, sports, games, computer lessons, music, etc. Simply being a friend and support system for the youth will give them something to look forward to, and for you as a volunteer to carry on with you something unforgettable. No formal teaching experience or qualifications is required to volunteer in the project. Volunteers with basic or intermediate knowledge of Spanish will be able to volunteer effectively. If you do not have any knowledge of Spanish, please consider joining our Spanish program while volunteering in Cordoba. Volunteers are also required to have patience, flexibility and enthusiasm for teaching English as the mentality of the people will be very different from what you're used to back home. During teaching, volunteers are expected to wear decent clothes, no shorts, sleeveless shirts are allowed. Volunteers will work with children to ensure they get love, care and attention they deserve. Volunteers can teach English or Spanish, organize recreational activities like games and plays, help the members of the project to feed and care for the children. Simply chatting with the children has positive affects. 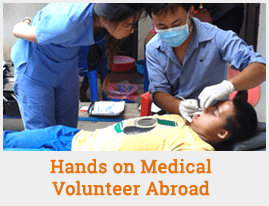 Sometimes, volunteers also plan day trips and other activities.